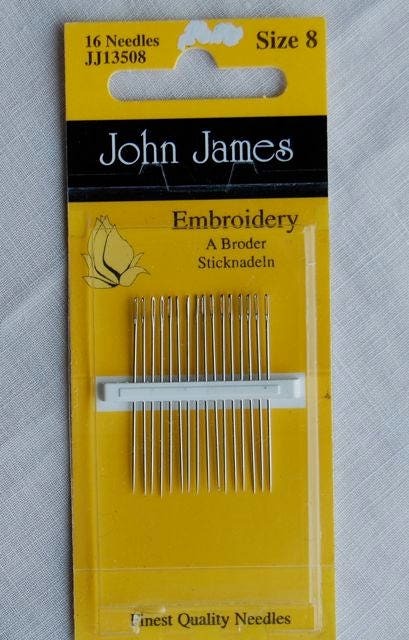 Highest quality English Hand Sewing needles. Quantity varies by needle type. Cost is $2.25 per package.